Broadpeak, a leading provider of content delivery network (CDN) technologies, and Eutelsat Communications (NYSE Euronext Paris: ETL) are combining their complementary skills to offer content providers a satellite-based solution for multiscreen video delivery to connected devices. The Ordinary and Extraordinary Annual General Meeting of Shareholders of Eutelsat Communications (NYSE Euronext Paris: ETL) was held today in Paris. All the resolutions submitted were approved. 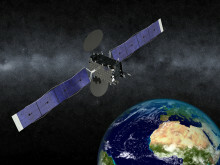 Eutelsat Communications (NYSE Euronext Paris: ETL) and Yahsat, the Abu Dhabi-based international satellite operator, have signed a multi-year capacity agreement giving Broadband for Africa, Eutelsat’s African broadband venture, access to high-performance commercial Ka-band capacity for broadband services across Sub-Saharan Africa. 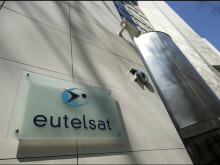 Eutelsat America Corp., the Washington DC-based affiliate of Eutelsat Communications (NYSE Euronext Paris: ETL), specialising in broadband and data solutions to support government services, oil and gas industries and enterprise customers, announces the appointment of Eric Moltzau as Senior Vice President Business Development and Strategy. Eutelsat Communications has selected Airbus Defence and Space and Orbital ATK to build a new satellite for the key 5° West orbital position serving mainly video markets in Europe and North Africa. Under the terms of the agreement Airbus Defence and Space will build the satellite’s payload while the platform will be manufactured by Orbital ATK. 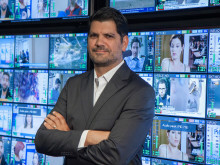 Eutelsat Communications (NYSE Euronext Paris: ETL) announces the appointment of Bruno Cattan as head of its newly-created Terminals and Systems Division in the company’s Technical Department.